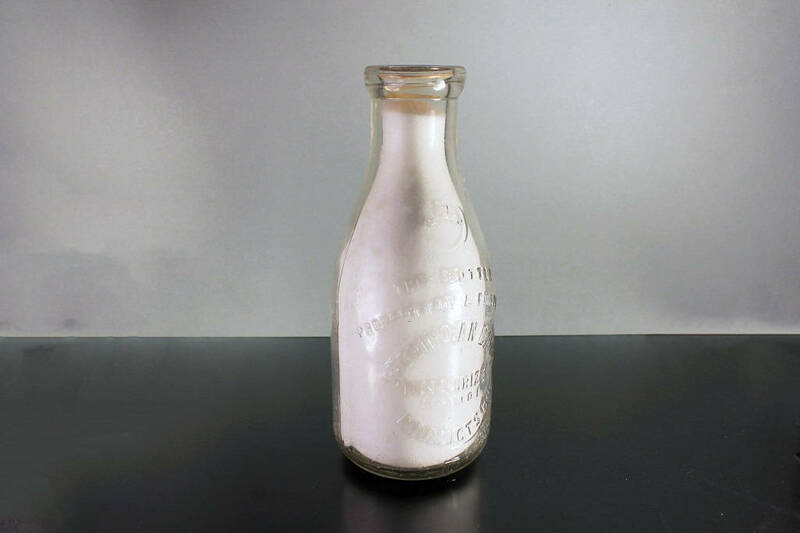 A clear glass quart milk bottle. 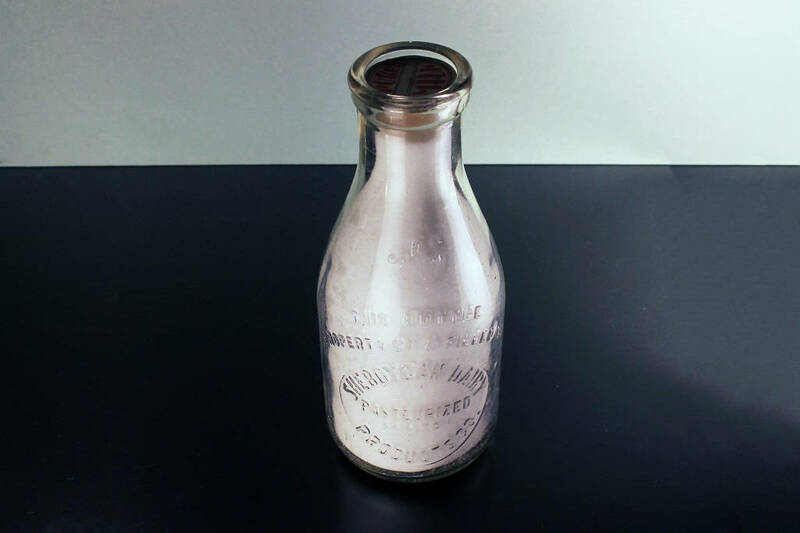 It is embossed with the name of the dairy. 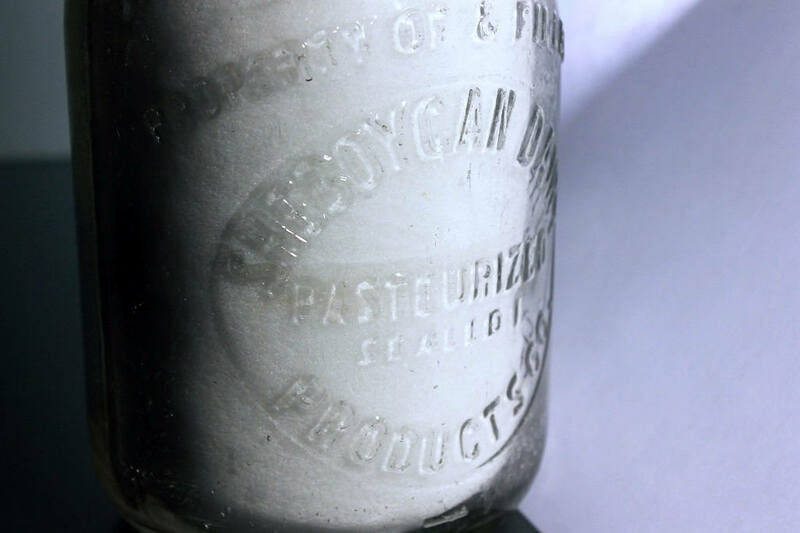 The back is embossed with One Quart and Wash And Return. 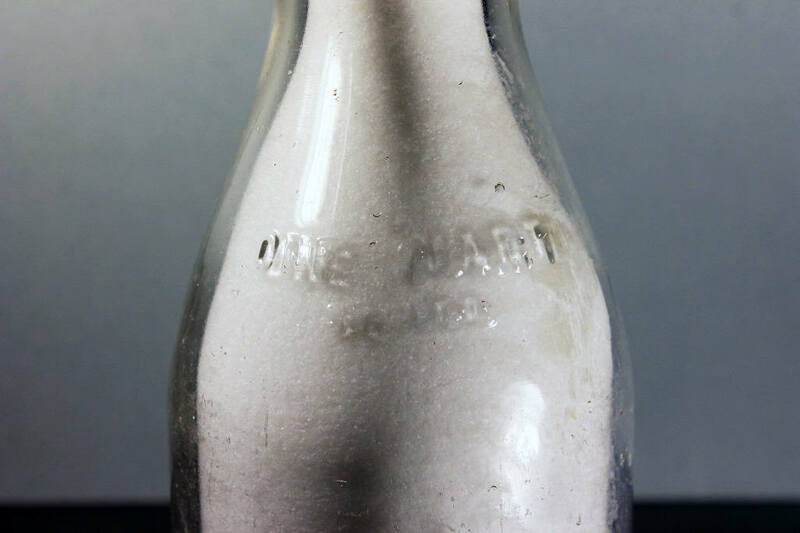 The days of home milk delivery in glass bottles are a thing of the past. 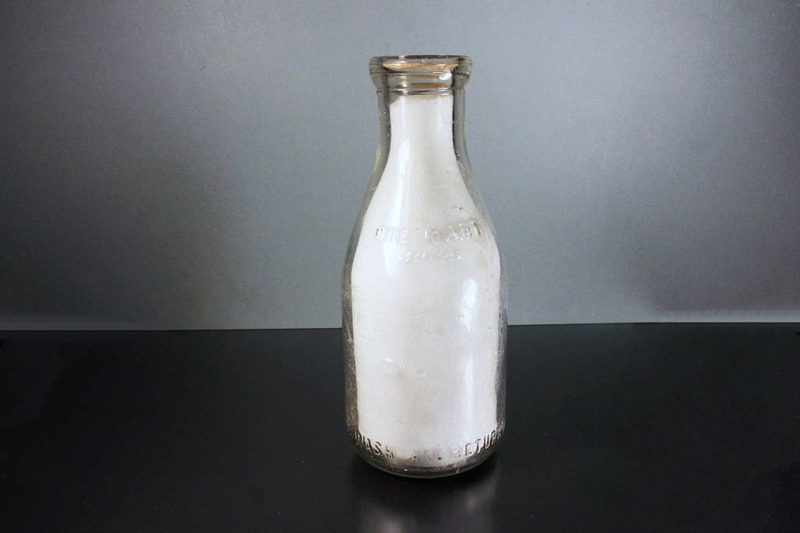 But just like the past loves to be remembered so does the milk bottle. They are a great collector's item as well as a conversation piece. 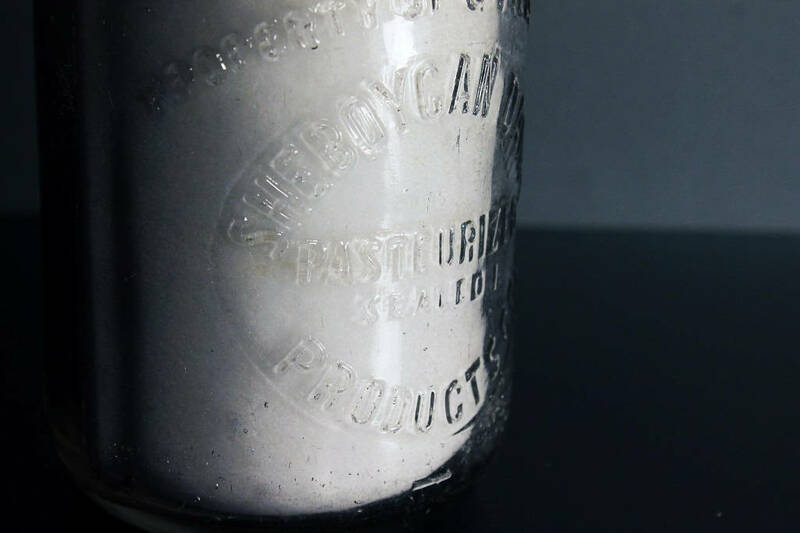 A collection of these on a kitchen or pantry shelf lends a touch of a bygone era. Perfect for your country or rustic style home. They make a fantastic vase and if filled with white sand or salt a great doorstop. A great gift for the collector. Stands 9 1/4 inches tall. The bottle is in good condition. There are no chips or cracks. There is mild scratching from being used and carried in milk crates. There is fogging on the inside of the bottle. 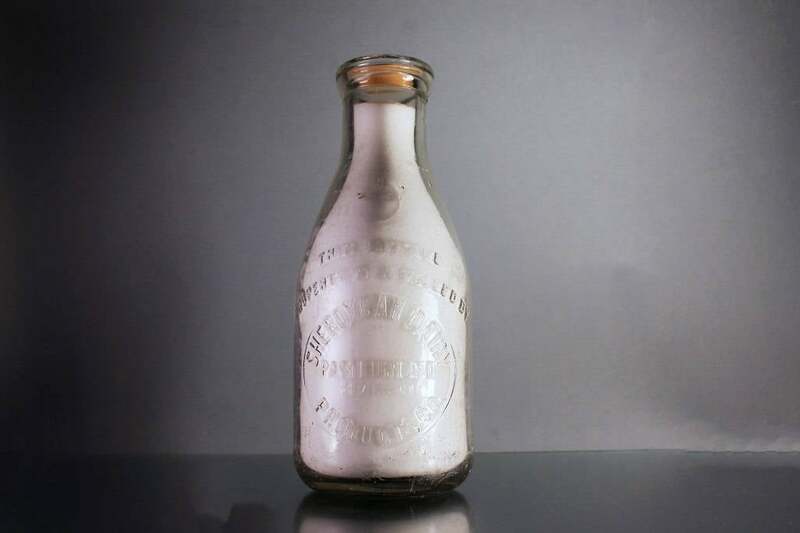 OMG this milk bottle is so amazing! For a last minute gift I think it will be my favorite. My BF is from a tiny town in Wisconsin, he is going to love this. The seller was awesome and packaged it beautifully with a handwritten note. Customer Service and Attention to Detail is not dead!